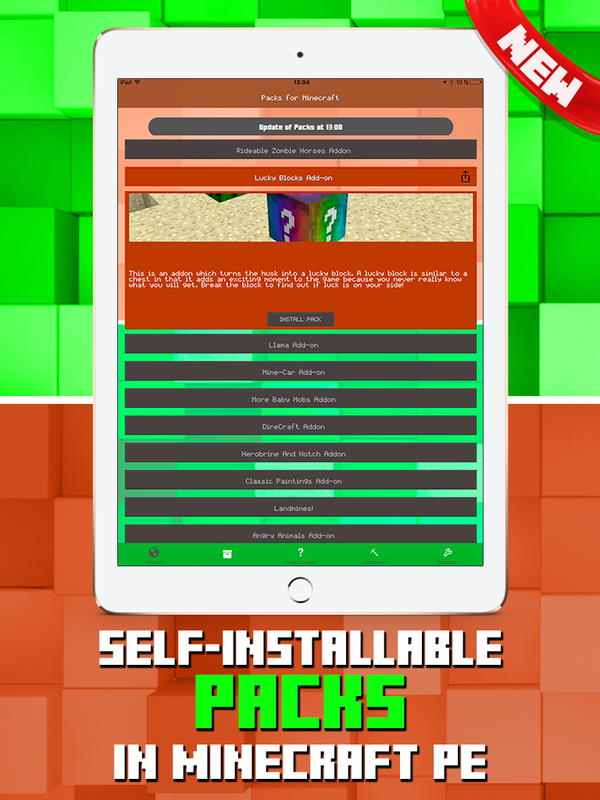 Add thousands of Addons to Minecraft PE! Worlds Packs for Minecraft PE. 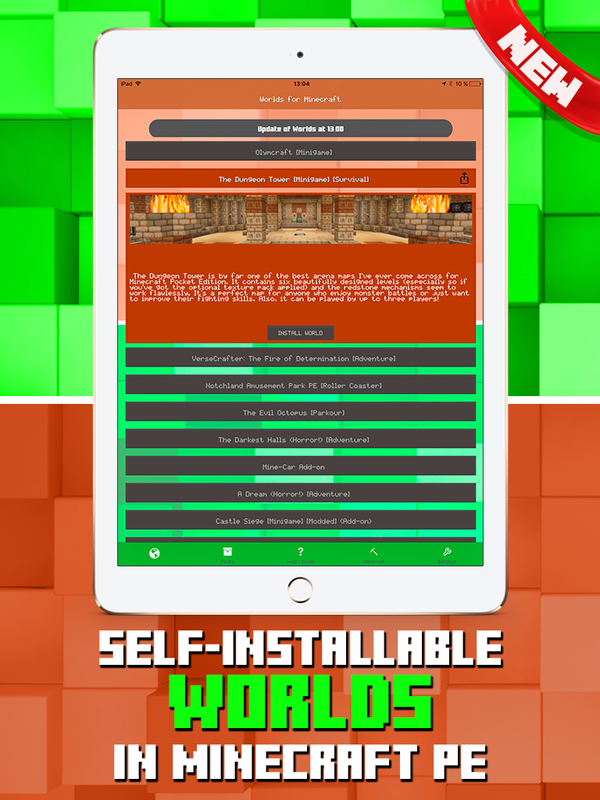 Packs Worlds self-installable with one click on your Minecraft Pocket Edition! Packs Worlds and self-installing this app. You have new Worlds and Packs every day. This app always have updated! If you want to be updated on all of our latest news, subscribe to our newsletter and you will receive emails about the latest launches, updates, offers and lots more. JewelsApps is a company that is dedicated to developing useful and quality apps. Our aim is for you to use our apps every day.